It’s an idea which is used with a fair amount of regularity: you take the characters, throw them into a contest of some sort where they have to kill each other or die, and watch them all die horribly, all their hopes and dreams and ambitions left forever unfulfilled. There are some whose deaths you cheer, a number you, frankly, just don’t care about, especially early on, and at last, the final few deaths absolutely tear you apart. Tragedy at its… well, most tragic. If you like that sort of thing, fine, whatever floats your boat, but I really do not. It’s why – along with a few other reasons – I’ve never watched Basilisk, Future Diary, or Hunger Games. I didn’t watch Danganronpa until I already knew that at least someone survives. I enjoyed Btooom partially just because more people could survive, if only because they were actually open to working together in defiance of the game, and many of them did, even if there was still quite a body count. I’ve heard how Future Diary manages to bring everyone back in some entirely new universe type of thing, but I’m not really willing to sit through that much death to get there. Point being, this is one of those times where, really, if I’m going to be fair, I have to acknowledge how my personal preference might be coloring my vision a little. Really, I think the way they hooked me was, by having the first episode narrated by a despicable character who gets immediately killed off. That was a little twist I didn’t see coming. Usually, the narrator is safe for a short while before they get horribly murdered. Something about this just made me morbidly curious, because I was a little satisfied with that first death. Looking back on the show, I can say that I actually liked some things about it, but none of them really redeem the show for me. The characters were diverse, both in their skills and their approach to the battle, but all of them were rather cunning and quick-thinking. Which makes it rather disappointing when about half of them die simply because they underestimate their opponent. Others are simply taken by surprise, but with all the thought and consideration they put into their fights, having so many of them die due to such incompetence rather stretches my patience. Speaking of all the thought, it was a bit confusing, and annoying, when what we heard one character thinking overlapped with what another character was saying out loud. The backstories for all the characters are also largely over the top and many of them are ultimately irrelevant. Actually, they’re all made irrelevant by the ending. What angers me the most is that the single most undeserving of them all won the tournament, and with his wish, something he could have anything he desired with, he chose to forget the whole thing. He was the only record the other warriors had left, and he forgot them. My wish would have been that the zodiac war never happened at all, ever, but he just made it so all the other warriors literally died for nothing. Everything preceding the end is rendered worthless. It absolutely boggles my mind that this was penned by the same author who created Katanagatari. Either this was a huge misfire, then, or something about this massive trolling was deliberate, intended to get us to think and realize something, but I have no idea what that might be. I just know that the best parts of the show were the opening and ending songs. Zodiac War is a cliché, bloody tragedy that has absolutely no meaning to it which I can readily discern. I can appreciate the technical effort that went into this show, but it epitomizes what I dislike about death games: everybody dies, and that’s it. 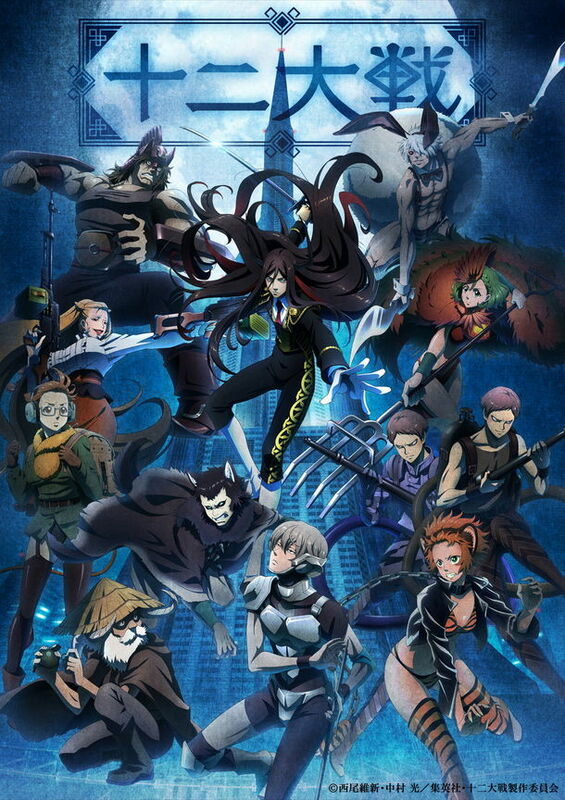 This entry was posted in Anime and Cartoons, Tuesday Review and tagged Juuni Taisen, Zodiac War. Bookmark the permalink.